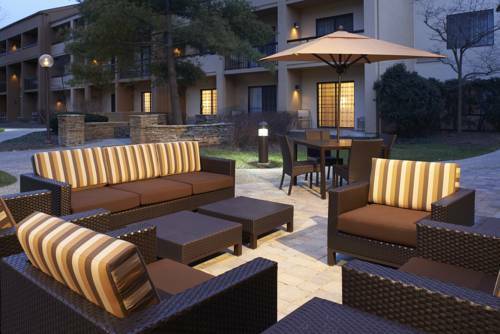 Unwind in style when booking a stay at Courtyard Dayton South/Mall hotel in Miamisburg. Our hotel provides easy access to the University of Dayton, Austin Landing, downtown Dayton, Wright-Patterson Air Force Base and Dayton Mall. We are perfect for business trips or fun-filled weekend getaways. Before exploring the Dayton area, get a good night's sleep inspired by our luxury bedding. Our accommodations boast complimentary Wi-Fi and large workspaces to keep you productive. Enjoy the convenience of The Bistro, our casual restaurant serving breakfast, Starbucks beverages, dinner and evening specialty drinks. When time allows, keep up with your exercise goals in our fitness center or opt for a refreshing dip in our indoor pool. If you have meetings on the agenda, reserve one of our two event venues with plenty of space, modern AV equipment and customized catering menus. Make your Miamisburg trip a success when you stay at Courtyard Dayton South/Mall. Bistro Classics with a Twist: Your food and beverage destination for refreshing breakfast choices in the morning, and a variety of dinner and cocktail options in the evening. The Bistro also offers specialty beverages made with Starbucks coffee to help you get a jump on the day.